There is a healthy way to fry, and you do it by using coconut oil. Put coconut oil in a skillet and put on low/medium heat. 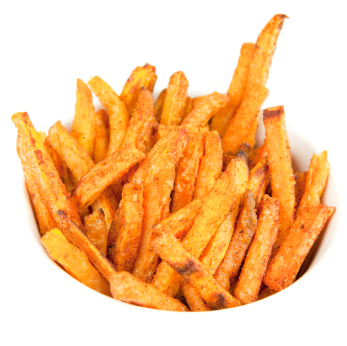 Peel sweet potatoes and slice into thin fries. They won’t cook as well if they are too thick. Cook evenly on both sides until they are soft and crisp, about 12-15 minutes. During this time you can add allspice if you desire. When they are done, add salt. People love these.